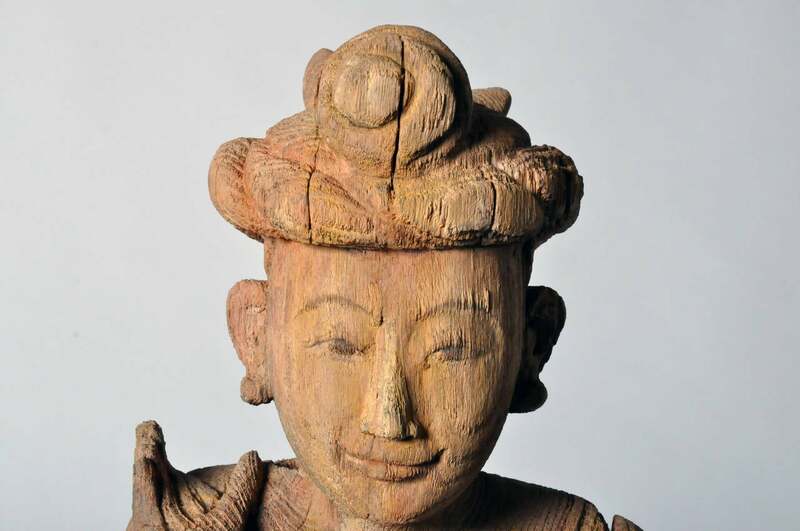 These handsome hand-carved Thai dancers are from Chiang Mai, Thailand, circa late 20th century. 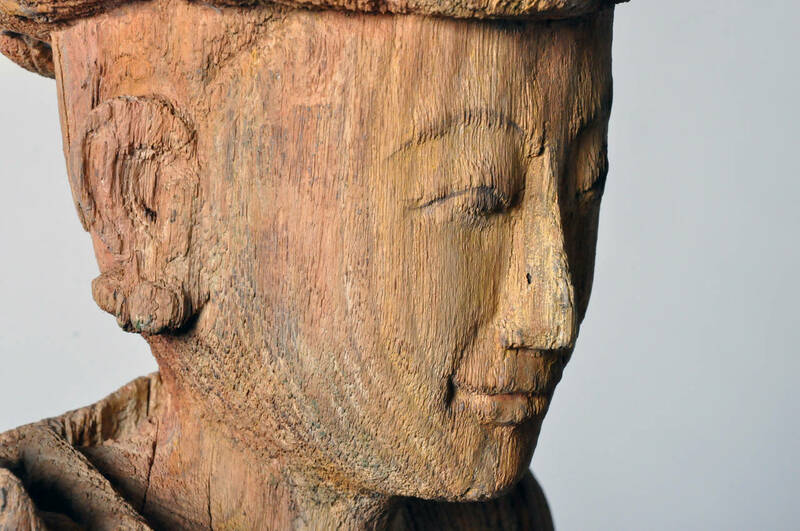 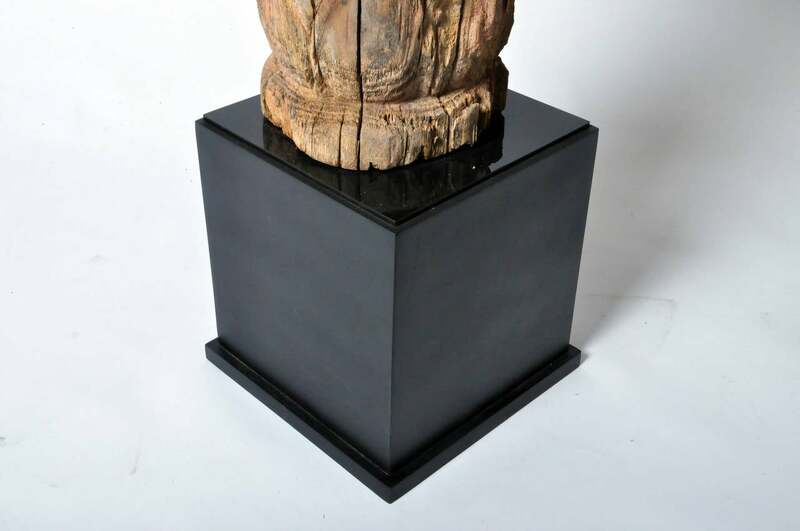 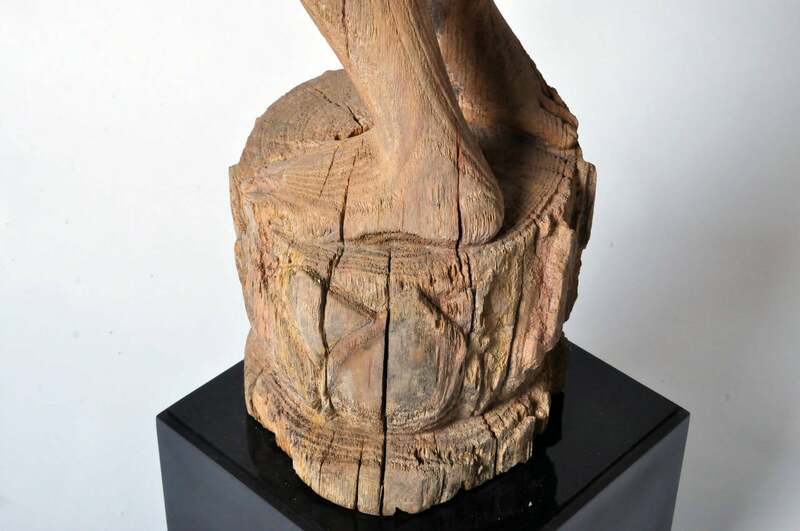 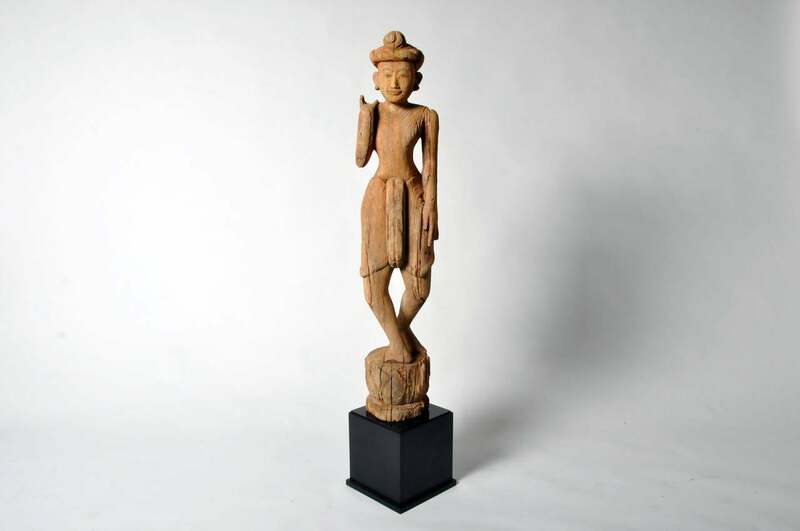 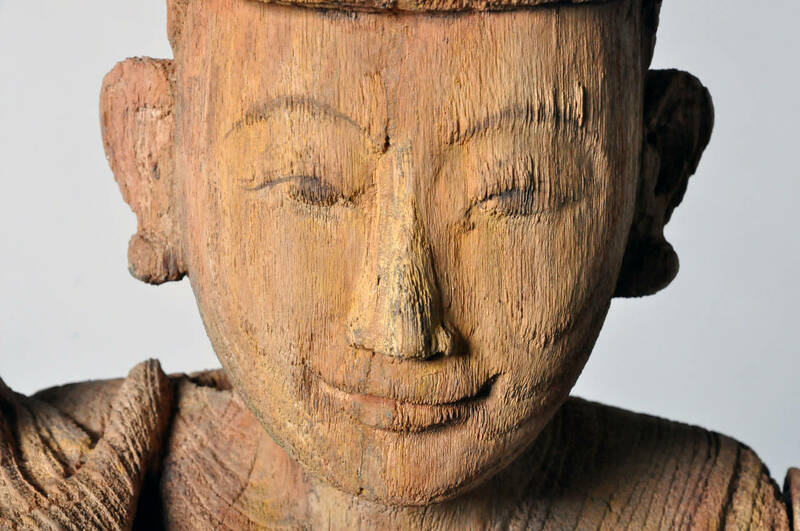 Carved from teak wood they have been mounted on a metal base for display. 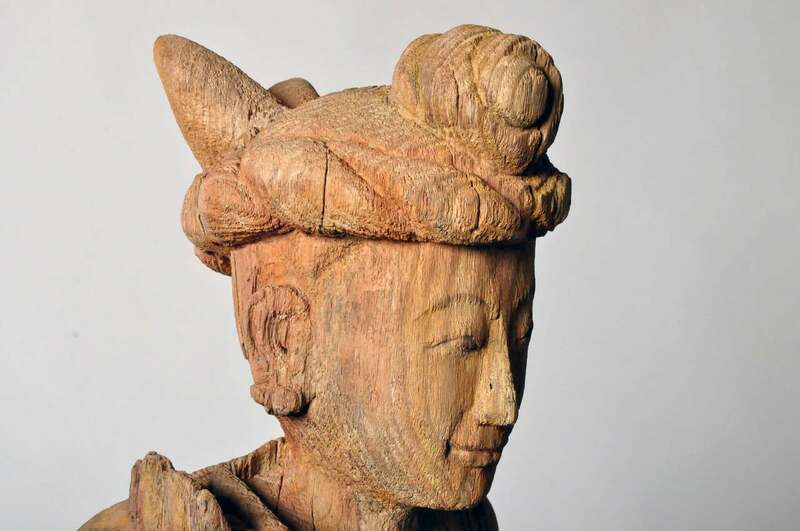 This hand carved Burmese arch was made from Teak wood. 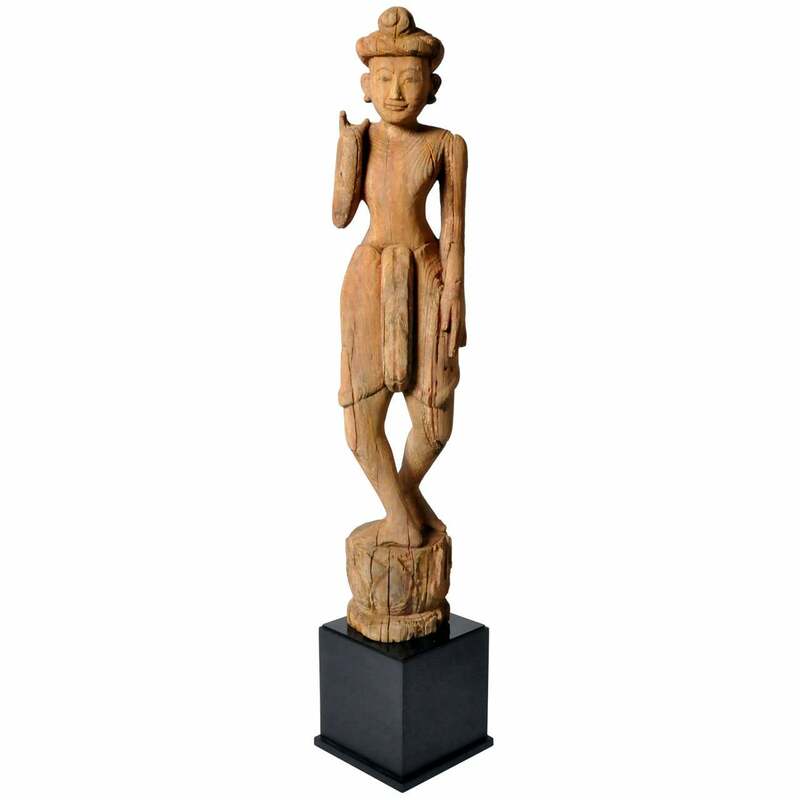 This impressive decoration features vine and floral motifs and were made according to post. 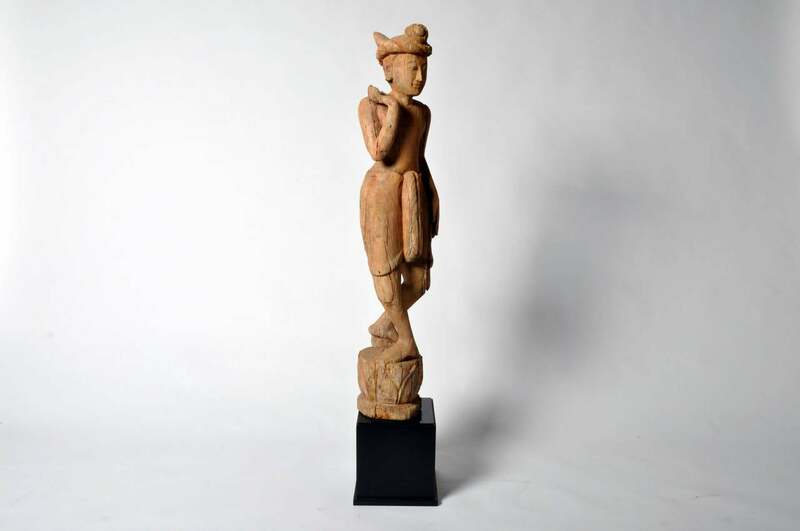 A beautifully hand carved wood folk art sculpture of a cat, in oak, resting, with alert expression, on a rectangular plinth, American, circa 1890-1900. 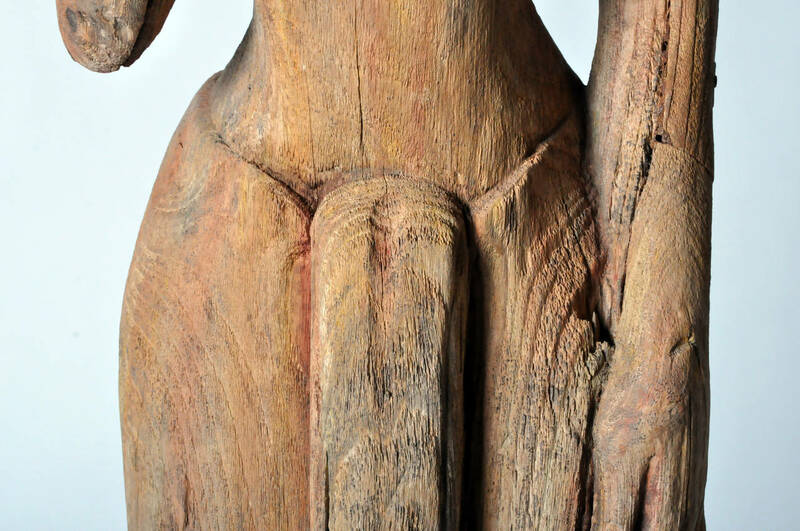 Hand carved Maori sculpture of a hunter carrying a crocodile and fish.